The simple, basic design of Osborne’s AGRI-AIDE Panel Fans efficiently and cost-effectively exhaust air from barns. The basic design allows you to add your own framing, blade guards, and shutters as desired. Note: there is no outside blade guard protection on Osborne Panel Fans. Adequately protect before use. Totally enclosed, thermally protected, heavy-duty, variable speed 1/4 HP motor. Nickel-plated motor mount/front blade guard. 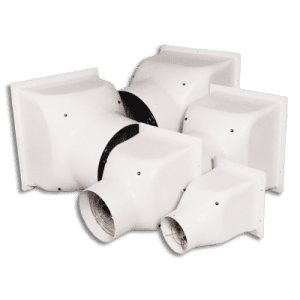 Osborne RTM-Glas™ fiberglass reinforced plastic orifice housing that is absolutely rigid. 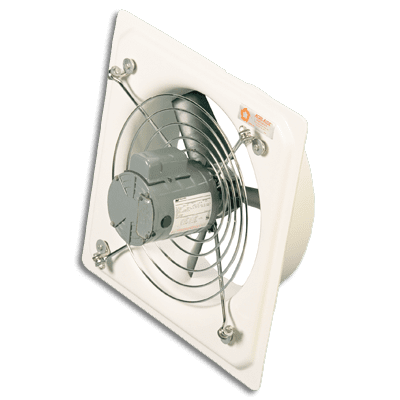 Max Airflow 3368 CFM at 0.125 in. w.g.